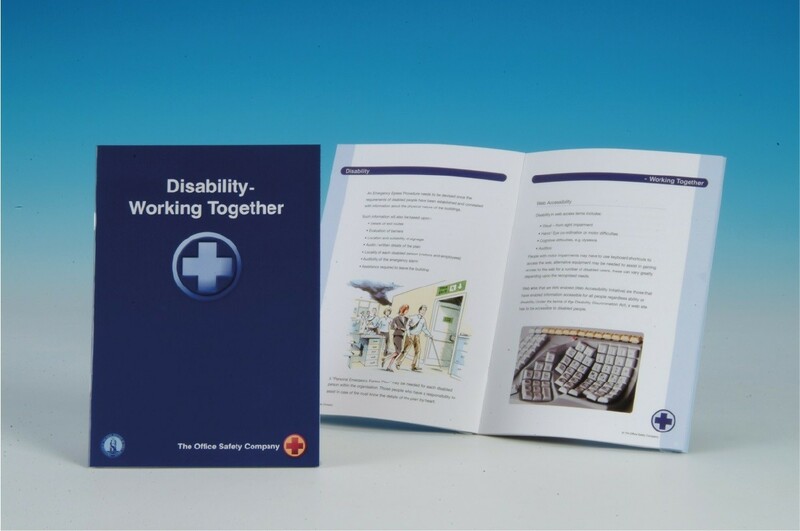 These disability awareness booklets allow staff to quickly learn the safety essentials of a range of relevant disability issues. Comply with the Disability Discrimination Act 1995 and adhere to your moral obligations. This disability awareness booklet summarises the requirements of the Act and assists your staff to approach the disability issue in a sensible and logical way. Don't wait until it's too late! Since 1st October 2004 disabled people have had the right to use the power of the courts if they find they have been treated less favourably in terms of accessing products, services and facilities available to everyone else. Accepted by The Royal Institute of Public Health (RIPH) as suitable for providing awareness of needs of disabled people and explaining the basic requirements of the Disability Discrimination Act (1995).